A new layer of complexity, constituted of networks of information token recurrence, has been identified in socio-technical systems such as the Wikipedia online community and the Zooniverse citizen science platform. 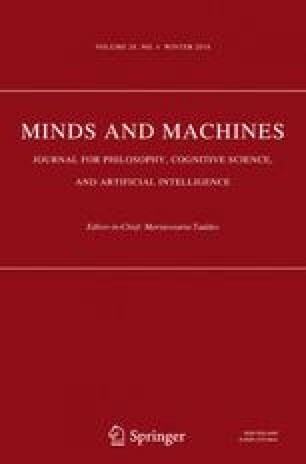 The identification of this complexity reveals that our current understanding of the actual structure of those systems, and consequently the structure of the entire World Wide Web, is incomplete, which raises novel questions for data science research but also from the perspective of social epistemology. Here we establish the principled foundations and practical advantages of analyzing information diffusion within and across Web systems with Transcendental Information Cascades, and outline resulting directions for future study in the area of socio-technical systems. We also suggest that Transcendental Information Cascades may be applicable to any kind of time-evolving system that can be observed using digital technologies, and that the structures found in such systems comprise properties common to all naturally occurring complex systems. This article underwent an extensive open peer-review process, because the initial version was published as a pre-print on PeerJ (https://doi.org/10.7287/peerj.preprints.2789). The authors want thank all people who took the time to provide critical comments and feedback about this version or who engaged in discussions when the argument was presented at scientific events. Our work was partially supported under SOCIAM: The Theory and Practice of Social Machines, funded by the UK EPSRC under Grant EP/J017728/2 and the Victoria University of Wellington Research Establishment Grant 8-1620-213486-3744. Barabasi, A.-L. (2005). The origin of bursts and heavy tails in human dynamics. arXiv:cond-mat/0505371. Lee, E., Karimi, F., Jo, H.-H., Strohmaier, M., & Wagner, C. (2017). Homophily explains perception biases in social networks. arXiv:1710.08601. Tinati, R., & Luczak-Roesch, M. (2017). Wikipedia: A complex social machine. SIGWEB Newsletter, Winter, 6. https://doi.org/10.1145/3027141.3027147. Van de Sompel, H., Nelson, M., & Sanderson, R. (2013). HTTP framework for time-based access to resource states–Memento. No. RFC 7089. https://www.rfc-editor.org/info/rfc7089. Van de Sompel, H., Nelson, M. L., Sanderson, R., Balakireva, L. L., Ainsworth, S., & Shankar, H. (2009). Memento: Time travel for the web. arXiv:0911.1112.